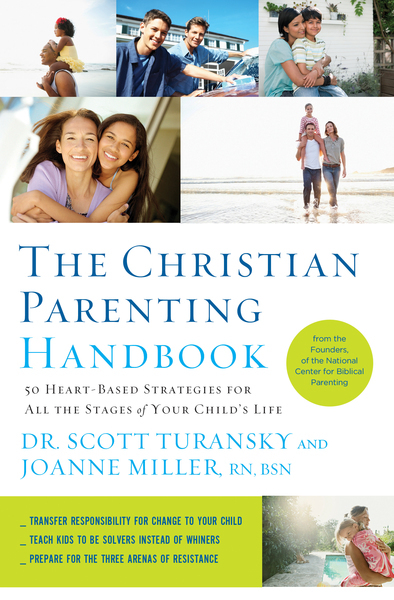 The Christian Parenting Handbook by Dr. Scott Turansky and Joanne Miller, founders of the National Center for Biblical Parenting, compiles fifty parenting principles that use heart-based strategies to teach you how to face daily challenges. When parents focus on the heart, kids learn to ask different questions about life. Instead of asking, “What’s in it for me?” they learn to ask, “What’s the right thing to do?” You’ll soon see how a heart-based approach to parenting looks deeper and brings about greater, lasting change. The daily interaction you have with your children can impact them for the rest of their lives. With these fifty heart-based strategies, you’ll develop your own biblical philosophy of parenting and gain perspective, greater motivation, and confidence that you’re moving in the right direction. As you envision a positive future for your children, they’ll experience hope and direction and you will too. Start applying these principles today!